TOODYAY will get a new shire chief executive officer later this year after councillors voted 5-4 last month not to re-employ current CEO Stan Scott (left) when his five-year contract expires on July 22. 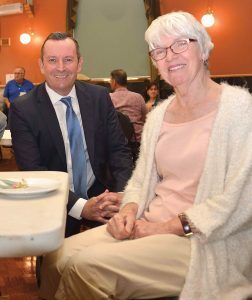 The decision was carried by an absolute majority at a special council meeting in which Shire President Brian Rayner (right) and Deputy President Therese Chitty twice voted against each over whether Mr Scott should be allowed to keep the shire’s top job. Mr Scott has attracted increasing criticism since starting in 2012, culminating in last December’s announcement of a State Government inquiry into the council after a year of Local Government Department monitoring and official departmental criticism which Mr Scott tried unsuccessfully to withhold from the council. He wrote an email described as “appalling” to former Cr Di Granger, prompting her to resign only five months after defeating former shire president David Dow by an absolute majority vote in a record Central Ward turn-out in the 2017 council elections. Mr Scott and Shire President Rayner were also found by a separate internal inquiry last year to have breached the Shire of Toodyay Code of Conduct by publishing “derogatory” statements in the shire’s ratepayer-funded April 2018 Toodyay Community Newsletter, for which the pair have refused to apologise. These matters are now being examined by three Perth investigators conducting an ‘authorised inquiry’ into the Toodyay Shire Council and its administration. Mr Scott’s performance was raised when the council met behind closed doors last month to consider his bid for a new contract. He was invited to address the start of the meeting and said he had done an outstanding job for the shire and that a new three to five-year contract was considered normal. Mr Scott then left the chamber and councillors spent the next hour and a half discussing whether to re-employ him. Cr Eric Twine’s motion that Mr Scott be offered a new two-year contract was lost 4-5, with only President Rayner and Crs Twine, Paula Greenway and Judy Dow in support. Cr Bill Manning, seconded by Cr Craig Brook, then moved that Mr Scott not be offered a new contract. It was carried 5-4 by Deputy President Chitty and Crs Rob Welburn, Ben Bell, Manning and Brook, with Cr Rayner and the other three councillors against. Cr Manning then successfully moved that President Rayner and Deputy President Chitty obtain three quotes from professional recruitment agencies to look for a new CEO. Cr Brook, an oil and gas industry safety expert whose council-approved six-month leave of absence ended last month, emailed his resignation – effective from April 1 – to President Rayner at the end of the meeting. The West Ward councillor, who owns a house in Morangup and was elected last year, said he could not find work locally to support his family and had taken a job in Victoria managing bulk fuel supplies at Adelaide and Melbourne airports. 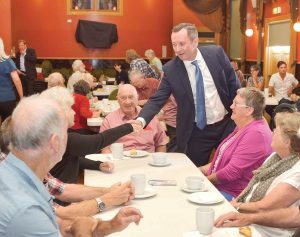 “Morangup is my home and I hope to be able to return to live and work here and run for council again,” he told The Herald. Cr Brook said President Rayner told him the shire would seek Local Government Department advice on whether to call a fresh election to fill the vacancy or wait until next October’s council elections when Crs Dow, Welburn, Twine and Bell’s terms expire. 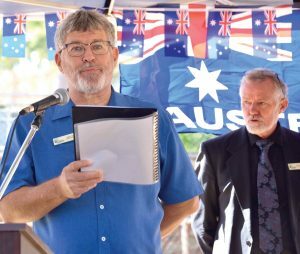 The council decided earlier this year to seek State permission to abolish electoral wards to enable all Toodyay electors to vote for every candidate, regardless of locality. The October elections are expected to be by postal ballot after a 2017 switch from ‘in-person’ voting lifted local voter turn-out from near WA’s worst to almost the best. It is understood that at least two councillors whose four-year terms expire in October may decide not to re-contest their seats.